Mrs. Titilayo Shodipo, a teacher who was allegedly killed by her husband, was three months pregnant, neighbours have said. Titilayo and her husband, Omolaja, had been married for over seven years and had 4 children together. . It was reported that the relationship was fraught with disagreements, which often resulted in fights. 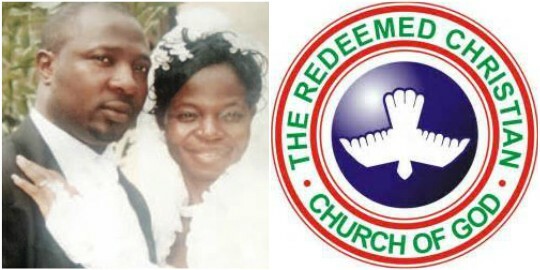 It was said that Titilayo, who was said to be a choir mistress at a parish of the Redeemed Christian Church of God, however, refused to quit the marriage. a sharp object a and fled their house in Ikorodu. The family of Titilayo, have said the suspect might have killed her for a an evil purpose. Her mother, Maria Ahinaje, called on the police authorities and the state government to arrest the suspect and bring him to justice. The family of the deceased on Friday said that they had asked Titilayo to quit the relationship but she refused because of her children. Her mother, Maria, alleged that Omolaja was a drunk and an absentee father, adding that they were the reasons for most of their disagreements. She said, “My daughter endured seven years of hardship and pain. When they started their relationship, I told her not to marry him, but she said she loved him. When they got married, he started beating her on a regular basis. He drank a lot and had extra-marital affairs. He would buy little foodstuffs for the family and when the food is exhausted, my daughter and her four children would start begging for food on the street. Most times, I had to send them foodstuffs and send money into her account for them to survive. I stopped going to their house three years ago because my daughter told her husband bad things about me, saying I didn’t encourage their union. .
Because of that, the man started misbehaving towards me." The state Police Public Relations Officer, ASP Olarinde Famous-Cole, said investigations were ongoing, adding that the command was still searching for Omolaja.